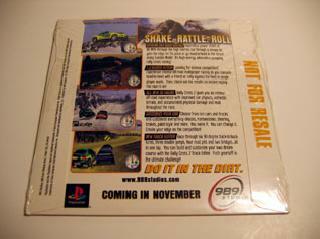 Extreme Off-Road Racing�- Experience the slides of 80mph through the high Sierras, cut through a stream to gain the edge on the pack or go head-to-head in the desert using Suicide Mode! It's high energy, adrenaline pumping, rally cross racing! The CD can be played in a regular CD player or Windows Media Player. There are 2 songs you can listen to. Idol Minds also worked on the�Cool Boarders�series. 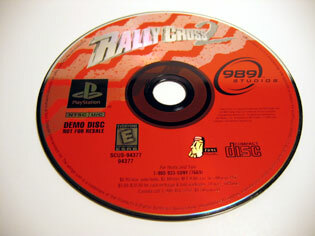 Rally Cross�started and finished on the PlayStation with only 2 games. Now you can add videos, screenshots, or other images (cover scans, disc scans, etc.) 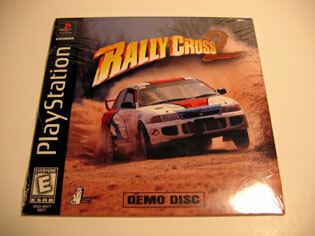 for Rally Cross 2 Demo [U] [SCUS-94377] to Emuparadise. Do it now!